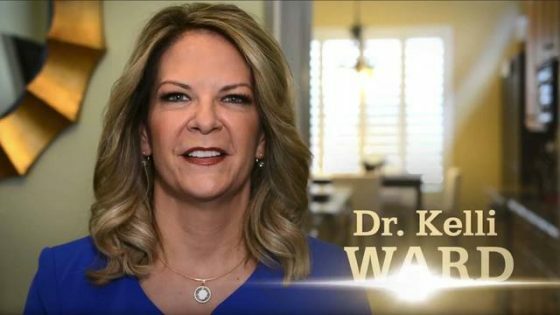 Our Conservative Campaign Committee has been all over Arizona campaigning for Dr. Kelli Ward in the US Senate GOP primary. Along with various other initiatives, we’ve stood on high-trafficked street corners waving signs for Dr. Ward. Enthusiastic Dr. Ward supporters have joined us to sign-wave in Bullhead City, Kingman, Lake Havasu, Chandler, and Tucson. Sign-waves are extremely important because turn-out for primaries are typically low. Early voting has begun. The primary is August 28th. Our next sign-wave for Dr. Ward is in Scottsdale; Thursday, August 16, 10 am -10:30 am MST; N Scottsdale Rd. and E. Shea Blvd. Locals at our sign-waves say Dr. Ward is fearless in standing up for conservatism. She is the kind of warrior Trump needs on his team in Washington, DC. This is why operatives in both parties seek to destroy her.